All art begins with a design for the purpose of setting up some narrative. 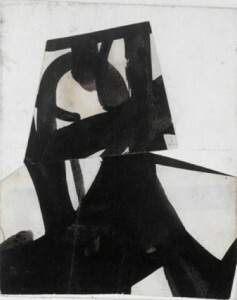 In abstract art the narrative is inferential rather than explicit, but it’s still there. In some pieces the dividing line is blurry. The abstract Kline and narrative Turner below sit very comfortably together. 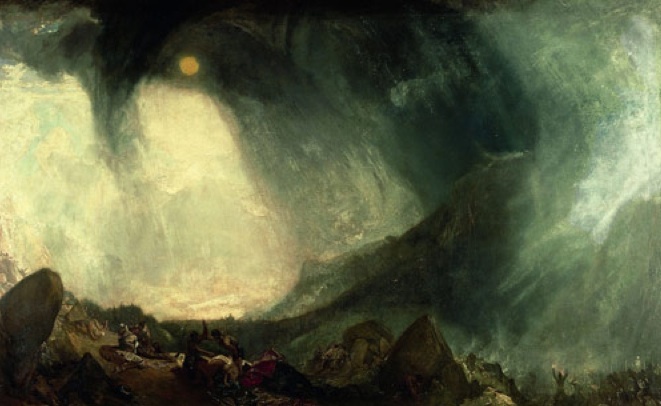 In the Turner, the artist’s delight is clearly in his swooping dark and light shapes. Poor Hannibal and his army along the bottom edge are relegated to providing the sense of scale. 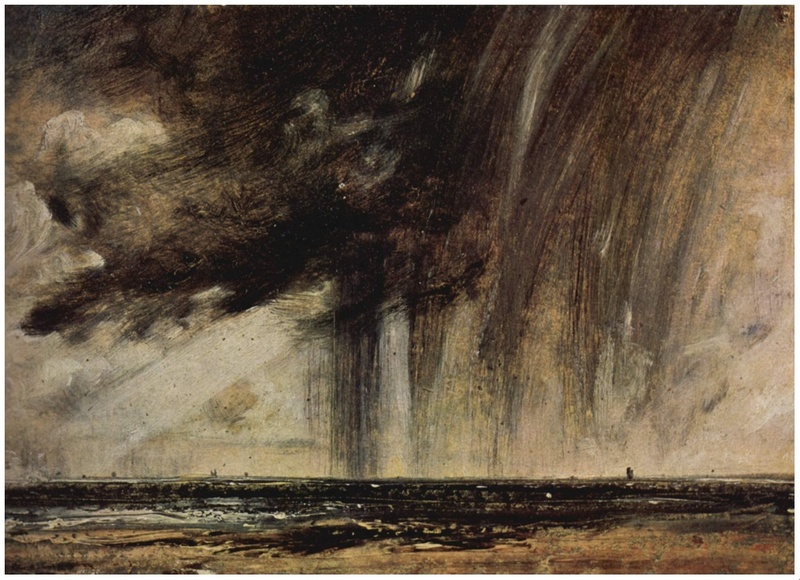 The abstract rigor of the Turner is somewhat softened by its rich color and fruity glazes, but the Constable, a study, is rougher and franker in its application of paint to surface. It isn’t until you notice the tiny ships along the horizon that you get the story, the grandeur of the thing.